I love making handmade beauty products and soap but it’s even more fun to show others how to do it! I have various tutorials but making soap in particular can be challenging, which is why I’ve started offering classes. 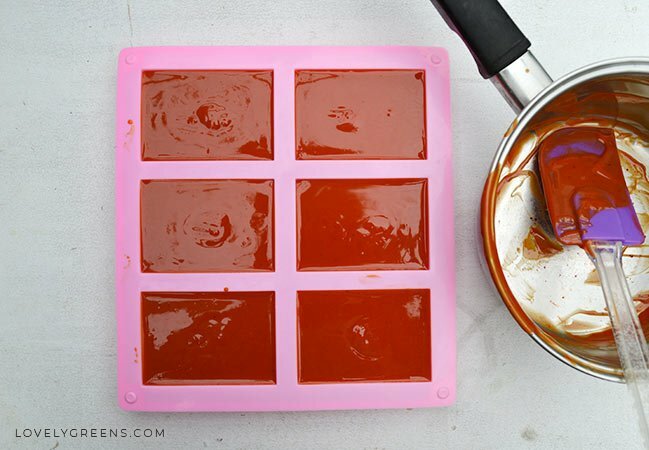 Five years ago I taught myself how to make cold-process soap and I still remember my very first batch. It came out a disaster and I wish that at the time I’d had someone show me the ropes. I persisted and finally figured it all out but I can see how the frustration could be a real turn off. On Saturday I had another lovely group of ladies join me for a class. 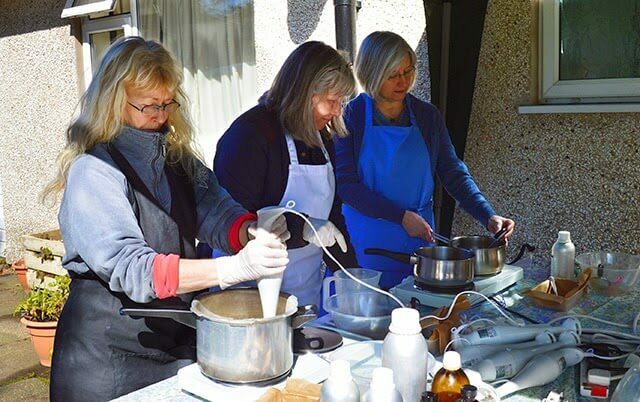 All aromatherapists, they wanted to learn how to make their own all-natural soap using blends of oils and essential oils that would be good for general skincare and also for treating eczema. One of my favourite fragrance combinations of the day was a blend of Frankincense and Chamomile, both of which are great for skin. Three of the ladies also chose to use Neem oil in their soap – this oil is used to treat irritated and inflamed skin. If you’re interested for yourself or as a gift for someone else, Lovely Greens Soapmaking classes teach you how to make your own cold-process soap over a three hour period. 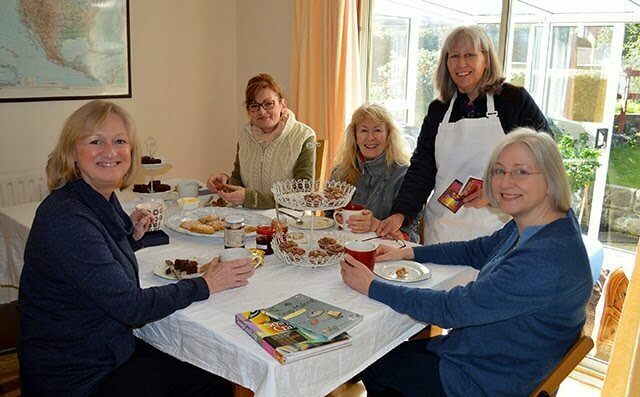 On the day you’ll make two batches (10 bars) of soap with a break in the middle with home-baked refreshments (gluten and/or dairy free on request). The soap batches are made to your own preference with your choice of fragrance, colours, flowers, and herbs. I also have a four-part series on how to make natural, cold-process soap at home. The series begins with this post on ingredients continuing on to equipment and safety, then basic recipes and formulating your own, and then the steps you take to make, cut, and cure your own handmade soap. 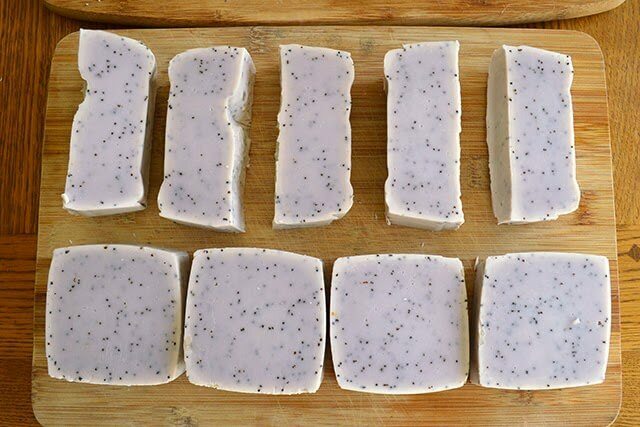 Use the series as a starting point for making your own soap or as a reference for after you take the class. Either way, I’m here to help you get started making your own natural beauty products at home! For more information on class dates, please head over here.